Internet is no more a place where you come only for information; it is also a platform where you share your thoughts, opinions and experiences. In present times, customers have a very important role to play in maintaining a company’s image and reputation – the most vital elements for its success. This is the reason why Online Reputation Management (ORM) is an important part of branding for every company- be it big or small. A business takes a lot of time to grow and make its name in the market. In this digital era, maintaining the reputation of a business online is of prime importance. 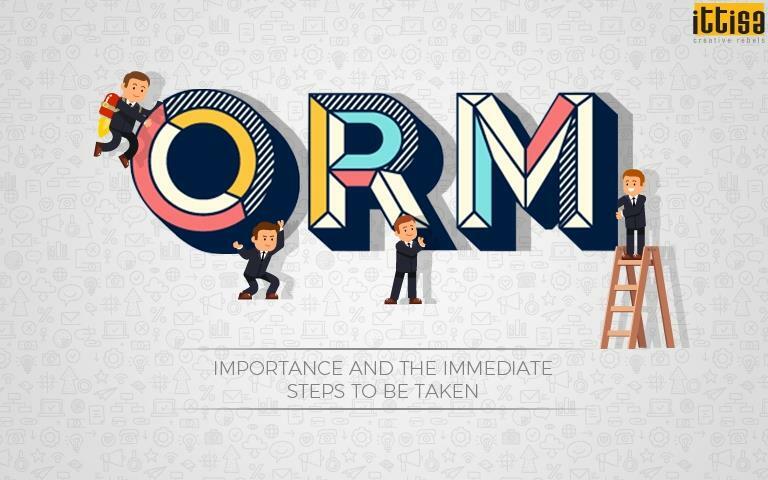 With several competitors in the market, ORM is undoubtedly an imperative step to monitor, identify and influence your brand’s online reputation. Dove, the personal health care brand, known for its campaigns that glorify the real beauty of woman, was recently caught in a soup with their new campaign. They posted a short video in their Facebook page (U.S.) where it showed that a black woman instantly transferred into a white woman after using their product. The video garnered a lot of negative response, where people took screenshots of the video and posted it on Facebook and Twitter. They also wanted to boycott all products by the brand. 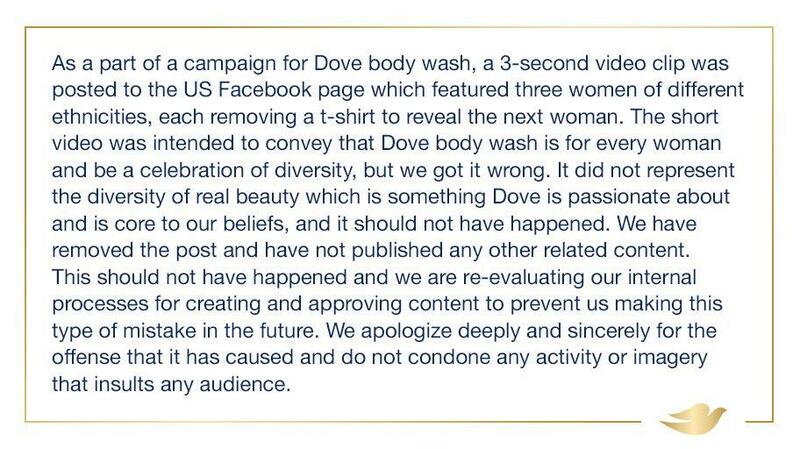 Initially Dove tried to explain their idea to all those people who left messages on their Facebook page. After facing so much backlash, the brand decided to own up to their mistake and issued an apology statement across all their social media pages. Dove agreed on the fact that the campaign should not have been approved and assured that such mistakes would not be repeated in the future. The 6 decade old fine dining restaurant in Kolkata, Mocambo was accused of racism when it refused a Mumbai-based marketing woman a seat in the premium restaurant for dinner. The reason – she had her driver for company who was not suitable to be a customer at Mocambo. The lady gave a detailed account of the whole story on Facebook, saying that the staff at Mocambo claimed that the driver was not properly dressed and was drunk. According to her, both the claims were untrue. 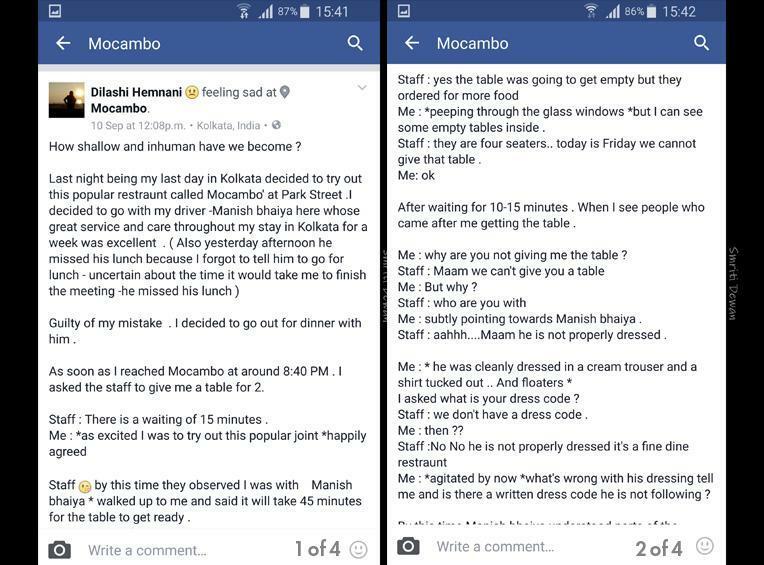 This whole incident drew a lot of criticism from people and Mocambo was accused of casteism, bigotry and elitism. The management at Mocambo initially denied the whole incident in front of the media. On further questions, the manager supposedly said that the restaurant does not allow roadside people to dine there. He also said that the person who was not allowed was a driver, and that he was dirty. 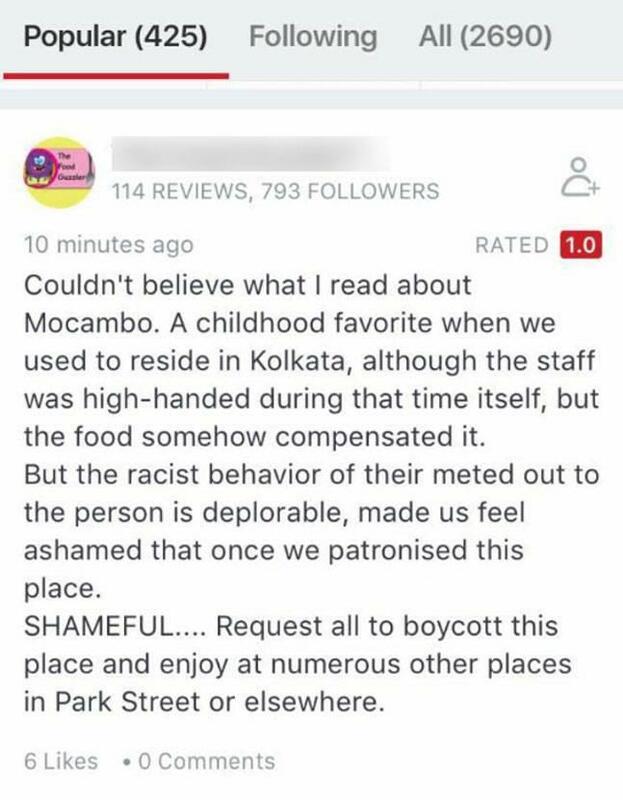 As a reaction to the whole incident, people used Zomato to downgrade Mocambo. The ratings had dipped from 4.3 to 1.8 with negative reviews as many as 5000 in a day. 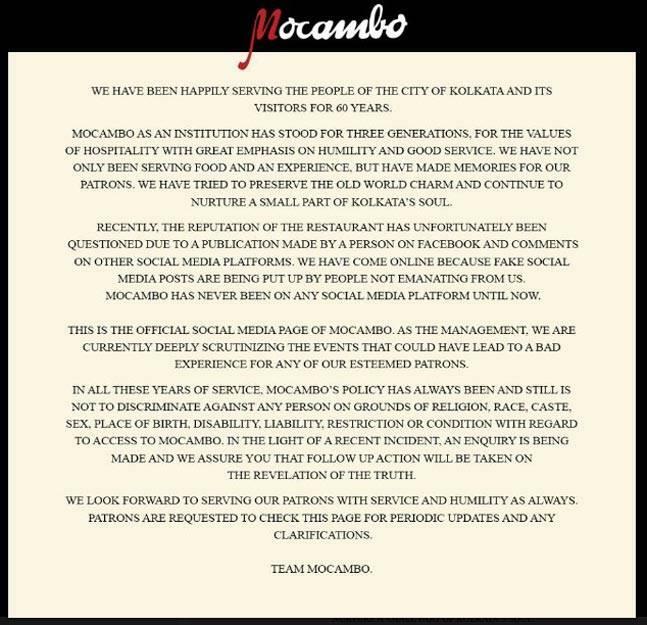 The incident led to Mocambo opening a Facebook account overnight (they did not have one previously) and giving out a statement that clearly stated that while they were not apologetic for what happened, it is not their policy to discriminate. The response that was posted after so much delay and deliberation, failed to pacify the outraged people. The response seemed to lack the sincerity and warmth that was required in this situation and triggered a few more angry responses. Nestle’s Maggi is a well-renowned and popular instant noodle product, especially among children. 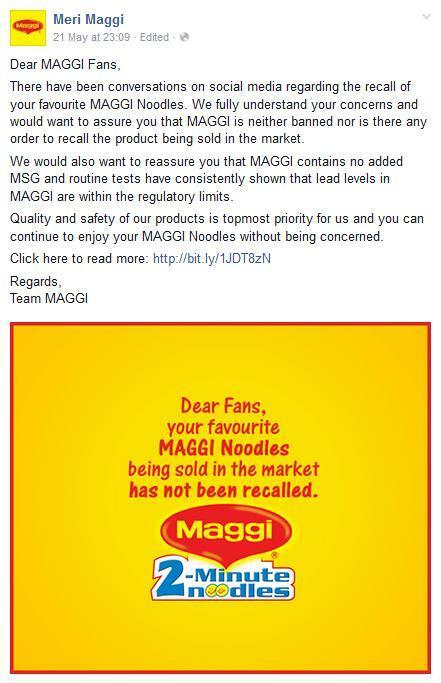 When a notice was sent to Nestle for deceitful labelling and food practices that were unhealthy, Nestle took more than a year to send Maggi for testing at Kolkata Central Food Laboratory. The results revealed that there were high levels of MSG and lead in the products, elements that are harmful for consumption. Surprisingly, Nestle did not respond to the warnings by FDA, probably presuming that the controversy would end in a few days. But the whole incident was highlighted by mainstream media and this became a trending topic in the country so much so that the entire instant noodle industry was affected. However, the team issued a Facebook post denying it, and encouraged people to keep having it as always. Instead of addressing the issue that was a major concern for so many people, Nestle blocked every form of communication with its consumers. For every consumer who wanted a clarification on the matter, there was simply an auto-response and with attached PDF files as a standard answer. 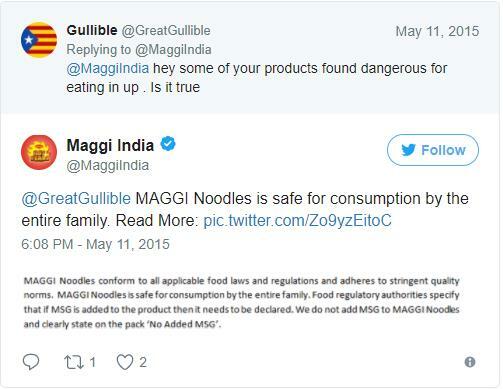 Ultimately Maggi was taken off the shelf and relaunched a few months later, assuring consumers that it was once again perfectly safe for consumption. KFC ‘s reputation was at stake when a customer reported finding live worms in the food at a KFC outlet in Kerala. The food safety authority of the state temporarily shut down the outlet after an inspection based on the complaint. The management played the defensive role on its social media pages with just a statement declaring that the matter was under investigation. The issue was addressed after several days, after substantial damage was done. Facebook and Twitter users had already renamed KFC to KFW – Kentucky Fried Worms. 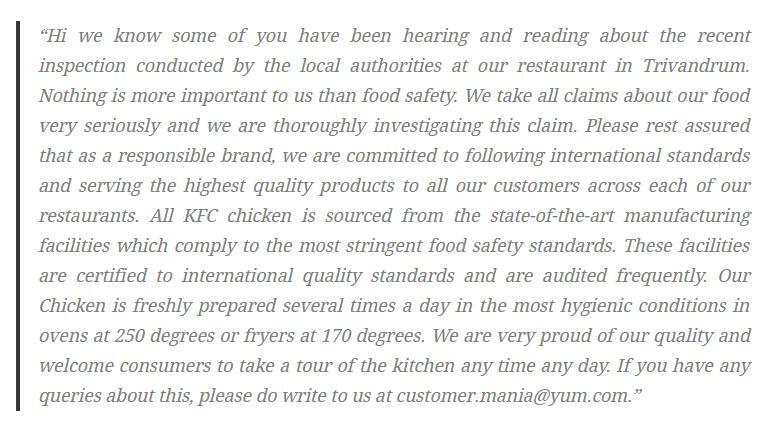 KFC then uploaded a video of their manager in India, who spoke about the food safety standards and even gave a tour of the kitchen of a KFC outlet. However, there was not a single reference to the worm incident though that was what people actually wanted to hear about. Even their official statement only assured the consumers that they were a reputed brand and that the matter was being looked into. It is first important to know what people think about your brand and whether the sentiments that are associated with it are positive, negative or neutral. Twitter, YouTube, Facebook and blog pages are some of the best places for tracking and monitoring people’s opinions. Once you have the results, you have to interpret the conversations and opinions that you have collected from monitoring. This is will you an idea about what is really being said about your brand in the market. How you act further will depend on what you learn from this evaluation. A plan of action is required in this last step where you have to implement whatever you have planned. It can be either in a reactive or a proactive manner. One thing to remember is that ORM is a continuous and cyclical process. After implementing your action, you have to go back to the first step to understand if your efforts lead to any positive effects. Online Reputation Management is an integral part of branding. Ittisa has a dedicated team to build as well as maintain your brand’s online reputation. If you want to know more about how we can manage your brand’s reputation, leave us a message and we’ll be sure to get back to you.